Secure & Certified E-Waste Recycling in Savannah, the rest of Georgia and across the United States. With IT Asset Disposition, Certified Hard Drive Destruction and On-Site Hard Drive Shredding, we are Savannah’s premier electronics recycling company. Recycle e-waste in Savannah with our convenient and responsible recycling services. Our convenient electronic recycling system will provide prudent management and handling of all of your electronic wastes. Secure Shredding of Hard Drives in Savannah and the surrounding area is safe and certified. We can send our special hard drive shredding system right to you and shred your hard drives while you watch. Computers can surely help you in performing your daily task. Be it for your personal consumption or for business, these IT assets are essential materials to increase production. However, like any other electronic devices, you will expect that eventually they will become obsolete or damaged. Of course, as your business goes and grows, you find replacements. These computers left unattended and become rusty. With Savannah Computer Recycling, you can still benefit from these obsolete items as you can still resell them. In All Green, we can help you make that happen. We pick up your computers, feed them to our facilities, and prepare the equipment or its parts, at least, for reuse. 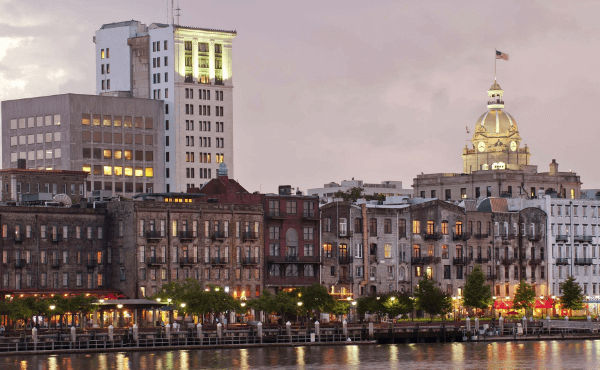 When talking about Georgia, Savannah is the city that is never left unmentioned. It is the oldest city in the state, but with much progress, modernization is still apparent. What contributed to the progressive state of this city are the neighboring tourist and business investors who entered the place across coastal boundaries. Another thing about this city is the presence of the companies that serve as collectors and recyclers. One of these establishments is All Green Electronics Recycling. With our existence in Savannah, we are always taking advantage of reminding all residents and business sectors to take part in recycling electronic wastes. All Green Electronics Recycling: The Best Choice To Have! There are many recycling companies in the city of Savannah, but we are proud to say that ours is the best. With the high-end facilities that we utilize and the very high quality system and procedures we practice, all business units will surely get the quality service they deserve. The Savannah Computer Recycling service is just one of the services we can provide to clients. Whether you are a sole proprietor, a corporate group, or government and private entities, as long as you use computers in your daily dealing, we can serve you with our recycling services.